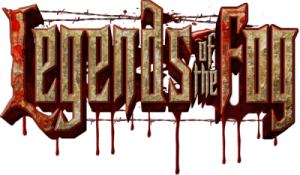 Legends of the Fog is a Haunted Attraction located in Aberdeen, MD. 2016 marks 10 years of fear for the one and only Legends of the Fog in Aberdeen, Maryland. Their overhead entrance sign has become an icon for haunted house enthusiasts all over the nation. A feeling of pure joy and terror swept over me as I walked under the rusty letters while gripping the most infested rope guiding me toward the ticket booth. Not many attractions greet their guests with such spirit. Personally, I have been wanting to see Legends of the Fog ever since I learned there was more than the four or five haunts around me. The name itself brings an element of horror to life that other haunts more often than not forget about. Zombies and monsters and crazy killers are all good and fun, but with the power of the fog on their side, they are unstoppable. Operating on almost twenty seven acres of a two hundred-acre sod farm, Legends of the Fog offers four unique attractions and a full midway for a great October night with friends and family; and, if you are a repeat victim, keep your eyes out for some of the classic characters from past years “possibly” returning for the 10th season anniversary. The attractions, on average, require eighty to one hundred actors a night. All actors are volunteers who love what they do: scaring you half to death. Show owners Patrick and Robin tell me out of all of the cast and crew they have had over the years, there is still at least thirty from the opening year… and plenty of their volunteers have ended up working for the sod farm in the off season. The bond of family is felt deep in the roots of Legends of the Fog and fright is a specialty dish best served with dry ice and hot water. New for 2016, The Farewell Hotel plays host to crazy residents and guests looking to serve you for dinner. We were maybe the third or fourth group of the night and one of the first actors you will meet is the hotel’s front desk representative, losing her mind, screaming out the rules of the attraction and jumping all over the desk. Leaving the lobby of the hotel, I had to ask myself if I thought she had it in her to do that ‘till closing. But, the dedication to the craft of scaring that I witnessed throughout the hotel assured me that all of the actors could “bring it” all night. I particularly liked how hardly any of them hit you with a loud scream out of nowhere and hid back in their spots. The hayride actors all contributed to the post-apocalyptic story and had their own characters. The circus attraction was freak-show inspired, giving almost all actors a specific character as well. Patrick’s father Mike tells me that, when the crowds get larger, the actors turn it to 11. Even on the slow night we picked to visit, I would say the energy was maxed. Legends of the Fog has a healthy mix of airbrushed faces, grease paint, blood, masks and some others with no makeup. In most events, I would frown upon a white face with blacked-out eyes. But here, in the “cursed fog” theme, it brings me back to classics like Carnival of Souls or White Zombie with their possessed, lifeless faces. It works very well for them. The cornfield maze had their share of masks, I suppose only to differ between friend or foe (it was dark out there). The costumes in the hayride and circus attractions matched the characters perfectly. Sticking with the apocalyptic, ripped-up look, I was impressed with the attention they gave both the tops and bottoms of their costumes. The circus supplied bright colors to their characters so you’ll know what they are and what they do. When you go into a haunted house with a six-foot-tall bellhop monkey, you can bet he won’t be hiding behind the corner. Think that isn’t scary? Go up to him, I dare ya. First thing you will notice when arriving at Legends of the Fog is the insanely-large, grass parking lot. Plenty of free parking all over the place on their 200+ acres of a sod farm. At the ticket booth, you can usually find Patrick’s mother, Charlene, who was a super sweetheart. The very booth that you get your tickets from reminds me of an old, Louisiana swamp shack and Charlene herself is responsible for the details in the attraction; it shows first in the ticket booth. Like most haunts, Legends of the Fog will open and close at different hours on different nights and, on certain nights, will charge more or less for tickets. They made a great way to identify their different nights by using a color code system on display at the ticket booth. Our night was yellow… 6:30pm to 10pm. Even Patrick, Robyn and Mike were more than welcoming and loved to talk about their work. And oh, where can I start with their midway? If Bonfires, music, games, BBQ, stage shows and gift shows aren’t your thing, then get out. They have a huge fire pit, complete with comfortable hay bales to sit on. There are plenty of games with prizes and practically a BBQ restaurant on site. The attractions go one by one, so enjoy the midway while you can. Local authorities are always on site in case of any emergency. A neat little treat was their fast pass stamp. If you purchase a fast pass, they will stamp your hand with an invisible ink that glows in the blacklight. Therefore, you don’t have to worry about having a big smudge on your hand for the next two days. The detail put into the façade of the Farewell Hotel is amazing. If I didn’t know any better, I would have thought the hotel was completely real. Even the eight-foot-tall, fifteen-foot-wide gate going into the front yard of the hotel was made out of real iron. All of the games and photo ops in the midway are all hand-painted murals of characters from the attractions. As a seasoned hayride attraction rider and actor, I was expecting to see a little more detail to some of the sets on the hayride; but, sometimes, less is more. What they might lack in overloaded scenes, they gain in a great soundtrack. Each section of the long hayride was accompanied with its very own music. Even the beginning of the ride had news footage and radio sound, bits of a zombie outbreak and warnings to stay inside. We were also fortunate to attend the attraction on a very gloomy day and the clouds and natural fog made everything feel so right. The jitters hit you when you see the Legends of the Fog sign from the parking lot. Patrick tells me the sign is still the original one he and his friend made 10 years ago when they opened the attraction and the ropes and poles all over the entrance give off this old, haunted shipyard vibe. “We like to think of it as our way of saying you are coming into our world,” says Patrick. Be prepared to encounter a variety of illusions. The hotel will keep you guessing which way to go and the hayride will leave you wanting to see it all over again. I counted at least five garage stops on the wagon with every one of them offering something special… not to mention all of the other cool scenes on the hayride. Fog is obviously a big presence and it is achieved through machines in certain areas. Sometimes, the natural fog will also pay a visit and give you little extra fun at no extra cost. 2015 introduced a new character to the Legends of the Fog crew: “Frostbite.” A new type of clown was born that combines the elements of heavy metal, punk, killer clown and ice?! The effects you will witness in his cooler are quite intense. I am led to believe that the entire land was contaminated by a mist and turned everyone into crazies or zombies, but it seems that all of the attractions stick to their own story. Farewell Hotel is a haunted house more than a “hotel” in the sense of what you would think a “hotel” should be, but who wants to walk through king-size bedroom after king-size bedroom, non-smoking all night? The corn stalkers is a walk through the cornfield with some jump scares, mainly to break up the time between the hotel and the hayride. The hayride starts in a locked-up barn where you watch a video of how the zombie outbreak began. Throughout the hayride, the theme is very post-apocalyptic with zombies and renegades all over the place. They stick to a very crazy theme. Sinister Circus is a freak sideshow and I was impressed that I didn’t see any clowns in the attraction, just sideshow freaks. Take notice to how I said “IN” the attraction. Some of the actors in the hotel actually did a great job in judging when to yell and when to talk subtle. Each time was scary, as I didn’t know what to expect… and whatever I was trying to expect, the opposite happened. The corn stalkers; there is no safe zone and you will never know when or where they will get you. The hayride can get loud, but stays comprehensible enough to know what’s happening and where the danger is. Predictable enough (when an actor is going to present themselves) in the circus, but the fun and scary part is not knowing what character and what they are going to do. It was never a jump scare – always something special. General admission tickets are $30 every night… $40 for a fast pass ticket on most nights (only a few Saturdays where they charge $45 for a fast pass). Coupons can be found in local businesses, but they’re not accepted on all nights. Going through all attractions with hardly any wait takes about an hour. But, while you are waiting, you can enjoy the night with an awesome midway that’s packed with games, good food and good live music on select nights. In all honesty, the price is almost a steal and a good portion of the proceeds go to the local athletic clubs. Legends of the Fog will provide you a great night of fun and fears.